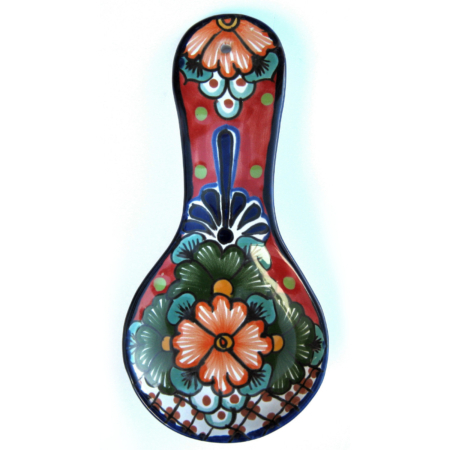 Mexican cooking course, step 1: take a wonderful, hand-painted Talavera spoon rest! 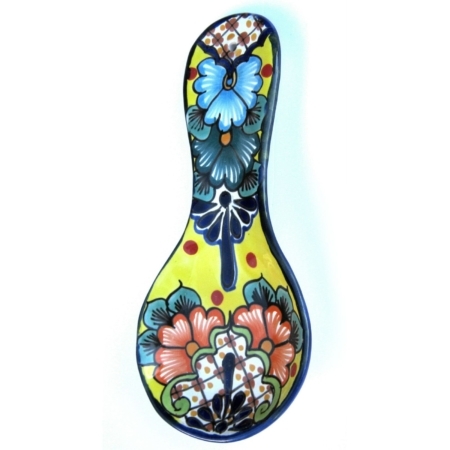 Get in the Latino mood for cooking with the help of our amazing spoon rest, even if not preparing one of the masterpieces of Mexican Cuisine. The paint decorating the item is 100% lead-free, of course. 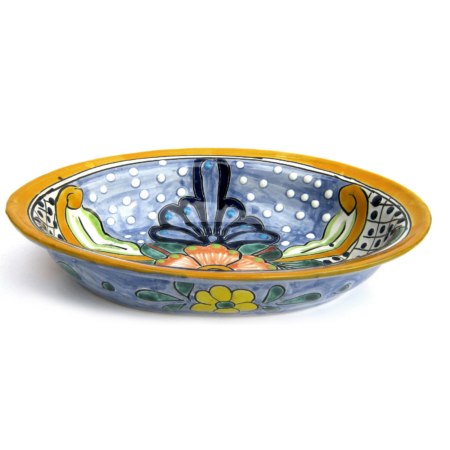 If you only want to admire this beautiful ceramic, you can use it as wall decoration with the help of the whole on its handle. 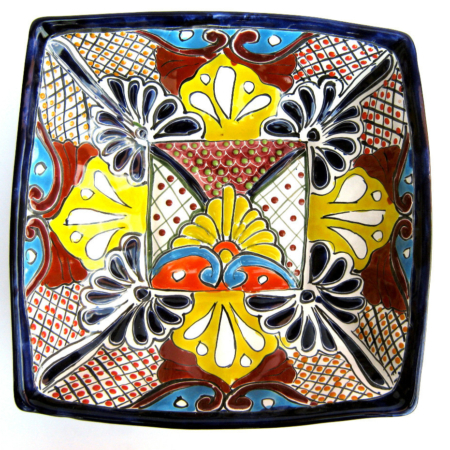 The first step towards your Mexican kitchen! check out our website or contact us directly with your questions!